Fast curing with low expansion. For fixing plasterboard, insulation board and most common building substrates. Meets B2 Fire Classification for flammability. 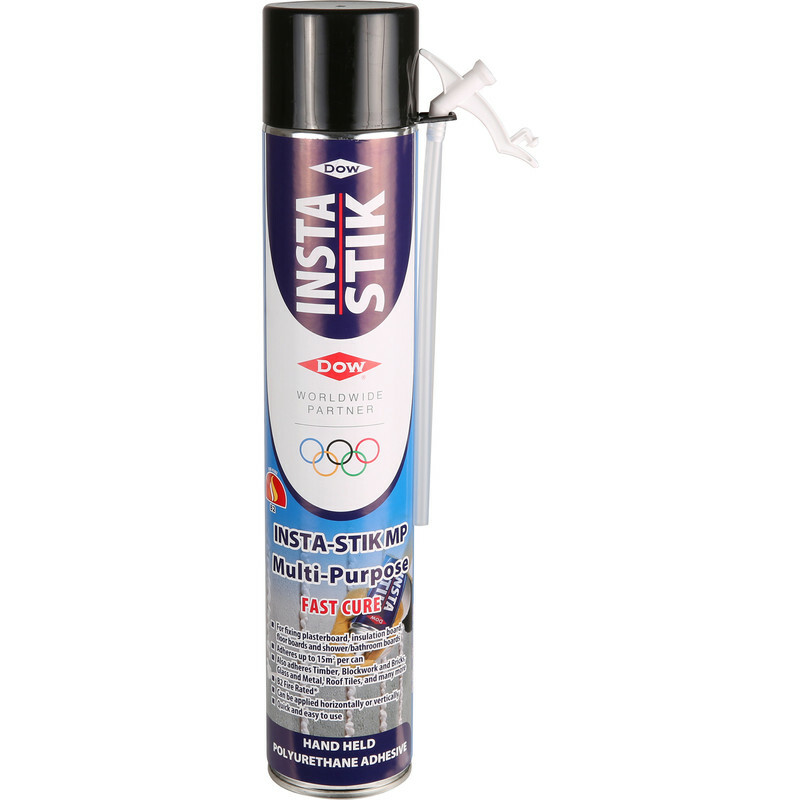 Insta Stik Multi Purpose Expanding Foam Hand Held 750ml is rated 4.0 out of 5 by 5. Rated 4 out of 5 by ScotDIY from You'll need more than you think! I bought a few of these to stick up Kingspan insulation boards and plaster board to block walls. The 15 m2 per can quoted is widely optimistic. I ended up using at least twice as much. There also seemed to be product left in the can when all the propellent had been exhausted. It works but works out very expensive. Rated 3 out of 5 by Deanos60 from Product fail Brought this to fix plaster board to wall. Worked fine but then can failed and ended up having to throw half of it away. Not impressed. Rated 5 out of 5 by LE A from Very efficient Bought this for strengthening the upvc windows fixation and isolation them. Very efficient and indeed fast. Rated 4 out of 5 by Mike 28 from Goes off quickly Doesn't seem hugely different to standard PU foam to me, seems to do the job, time will tell with regards durability and longevity.